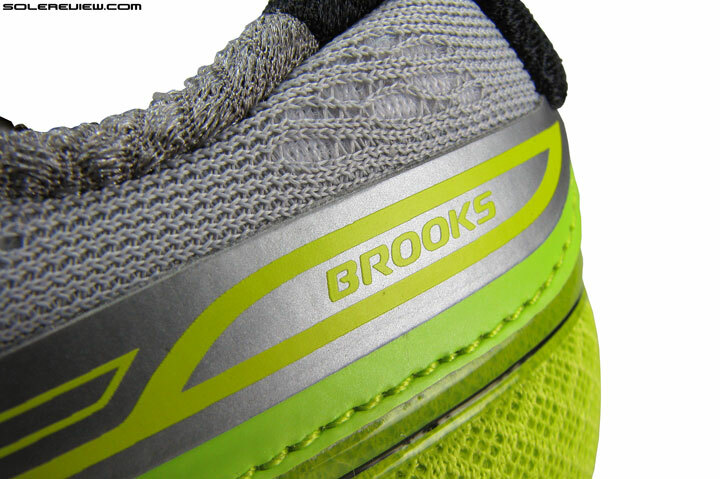 Brooks' marketing pitch: Right amount of soft cushioning for super smooth runs. Upper: No sew synthetic leather, engineered mesh, screen printing, Urethane welding. 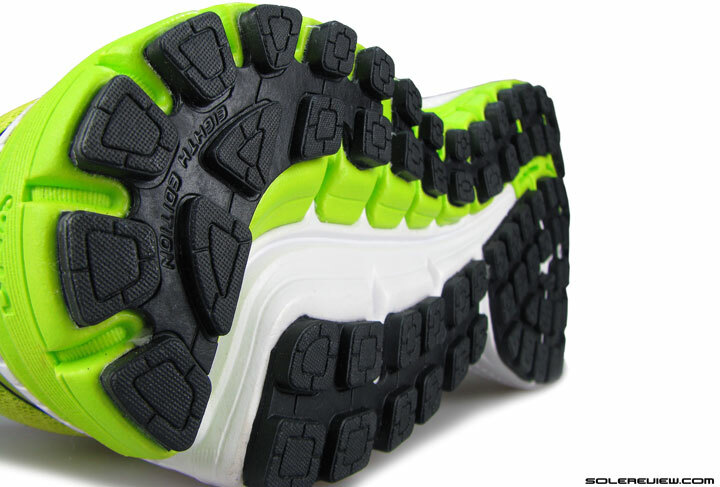 Midsole: Dual density, compression molded EVA midsole. 12 mm heel to toe offset. Widths available: B-narrow, D-regular (reviewed), 2E-wide. There are notable improvements on upper fit and finish, and changes on the midsole design makes the ride firmer yet more consistent. Puts on a lot of added weight this year. What’s it going to be? The Brooks Ghost 8, or 7? Occasionally, even after multiple wear-testing sessions and putting all the pieces together, we have difficulty concluding whether one shoe is decidedly better over another. Most of the time, it is a clear open-and-shut case. Better cushioning, lighter weight, smoother transition – definitive ingredients of improvements which should have a majority of runners happily nodding their heads to. Of course, solereview’s scoring mechanism has our back. 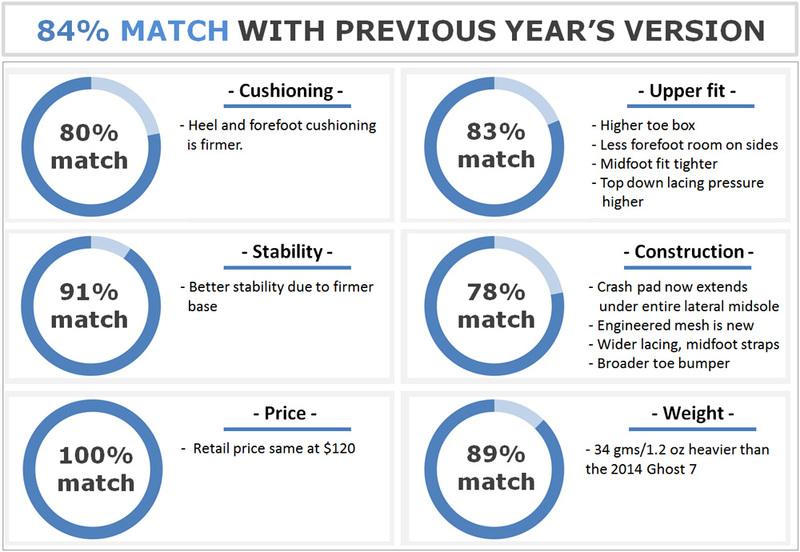 It sums up a weighted average of the (perceived) good and bad, and calculates an overall score which indicates the shoe’s overall road worthiness, or the lack thereof. But regardless of whatever scoring system we choose to employ, an individual runner’s choice of a shoe remains a thing of complexity. A feature which one person loves might not stand true for another; a consequence of running shoes being intensely personal in taste. The Brooks Ghost 8 gets a top to bottom makeover. It always does, once a year. The continued evolution of Brooks’ long running model carries a lot of new bits on board this year. Some areas are certainly better executed than the Ghost 7, while the jury is out on other updates influencing functional manners. The best we can do here is to lay everything out, leaving you to pass judgement on their values. We will supplement all that with our own opinion, but as with all reviews, a subjective point of view has to be taken with a grain of salt. An important thing you must know upfront – the Ghost 8 is not, as Brooks puts it, a shoe with ‘soft cushioning’, regardless of the cute ‘cushion me’ logo you see on Brooks’ webpage. That might hold true in Brooks’ own personal universe, but let the Ghost play in the open with other boys, and the definition of soft tends to be processed through a competitive filter. For example, the Asics Cumulus 17 is softer than the Ghost when you go running in them, and so is the adidas Glide 7 Boost. This also feels the right time in the review to highlight the fact that the Ghost 8 is firmer than last year’s Ghost 7 too. And there’s the topic of cushioning responsiveness. It might be softer than shoes such as the Nike Pegasus 32, but not necessarily more responsive. That’s one area where the inner workings of the Zoom Air bag comes into its own. Cushioned, but not soft. Feels a lot supportive. 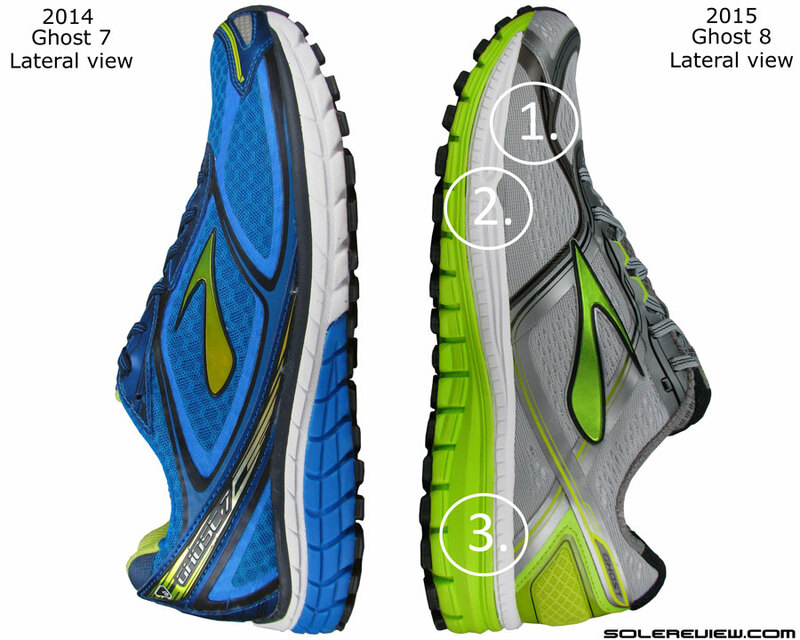 In a nutshell, while the Brooks Ghost 8 is a cushioned shoe, it also comes mated with a supportive ride. This characteristic sets it apart from some of the other shoes we just mentioned. And we did say that it runs firmer than the Ghost 7, and that can be understood in greater detail once we examine what changes take place underneath. We’d like to throw in a bit of footwear industry insight before we begin the next section. Feel free to skip the following eight paragraphs if you’re uninterested in details other than the Ghost 8’s fit and ride character. Asics and Brooks are perhaps the only two brands which religiously update their upper and sole design each year. This is different from how players like adidas, Mizuno, Nike and Saucony do it, where the midsole platform is left untouched for a period of two (or sometimes more) years. Now a complete midsole overhaul could be a good thing or a bad. Good, because there’s a crisp new design available to buy each year. It might also be functionally better than the design it replaces, improving the shoe’s on-road manners. Contrarily, it could also result in the exact opposite, leaving you with the impression that some of the things you held dear before have gone missing. That happens quite a lot, doesn’t it? There’s a third aspect of changing midsole designs which very few (consumers) think about, and that’s the amount of money involved to make that happen. Whenever a shoe model undergoes a design change, the brand has to invest in new equipment which can produce that design. If it is an upper only change, the cost comes mostly in the form of cutting knives (also called dies) – hard metal shapes which cut through stacked sheets of materials – in the exact shape of upper components. And if there are injection parts needed like an external heel counter, then factor in some additional investment for creating molds. With all that said, the combined cost of buying upper dies and related miscellaneous spend is relatively minimal. Unless the production runs are tiny (like a special promo shoe for a pro-athlete), the financial investment rarely bears substantial impact on the total cost of a shoe. Or if we’re talking about brand new upper tech, which then becomes an exception instead of the norm. Midsoles and outsole changes are however, a completely different story. The production of these parts involves the use of heavy metal molds, and each one of these cost a bomb to make, upwards of $1,000 for a combination of molds required to produce a finished part – in a single size. Now multiply that by a sizing range of US 3-15 (kids, womens, and mens), and that becomes one set. And when you’re making 500,000+ pairs of a model in a season, a single set won’t do, you need many. Needless to say, the cost of all that gets adjusted in the retail price, an accounting line item which brands describe as ‘tooling amortization’ in a costing sheet. This means that the entire investment is recovered from the production run in tiny equated installments. Hypothetically assuming that if 500,000 pairs of Ghost 8 were produced, and the total cost of commercialization was $1,000,000, then each pair gets $2.00 of cost loaded in. Work upwards from a cost impact of $2.00, and that is roughly a $8 increase in retail price – a $110 shoe becomes a $120 shoe. Not exactly an exercise in financial austerity, is it? And the entire point of this lengthy digression? That an annual midsole refresh might not be warranted, and if the shoe could be cheaper by $10, then runners would likely prefer that over a higher frequency of sole design change. A biennial change will also give a brand extra development runway to redesign a midsole, and that might actually lead to a better product. The brand new Ghost 8 midsole is born out of the aforementioned industrial process, and its new construction ends up affecting four ride characteristics – cushioning softness, quality of transition, support levels, and flexibility. To begin with, the Ghost 8 rides firmer than the 7, and that change is founded on a) the density of the midsole foam, and b) the midsole design itself. The foam density increases in firmness on both levels; the white colored main layer which is closer to the foot, and the crash pad atop which it lies. The lower crash pad now stretches along the entire lateral length, so this makes the midsole uniformly firmer from heel to toe. Rewind to a year ago, and we underscored one important property of the Ghost 7’s midsole. The shoe delivered a part of its cushioning sensation by means of a trampolining effect; the foam cavity under the heel kissed the road under weight. That effect was made easier by using a softer midsole foam (vs. the Ghost 8), and a deeper+wider transition groove running underside. 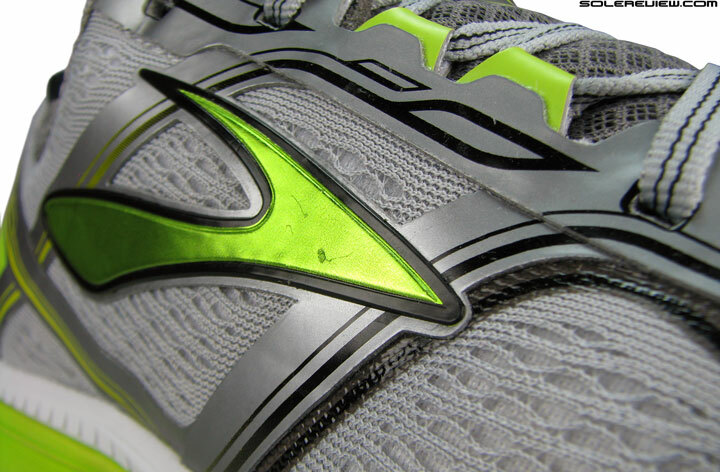 The Brooks Ghost 8’s transition groove is lowered; this translates into less ‘give’ under weight. On this year’s newest, the cavity is lower to the ground (meaning thicker foam between foot and road), the midsole is firmer, and the transition groove much narrower. So this diminishes the trampolining deal prevalent on the Ghost 7, and contributes to the decrease in cushioning softness. Smooth molding on the reverse side, decent padding levels. BioMogo – Brookspeak for landfill friendly material. The final boundary before the midsole begins. This is the foam lasting below the drop-in BioMogo footbed. A couple of other parts stay constant. The drop-in footbed is the same one seen on the Ghost 7, and likewise for the foam lasting or strobel below it. Because of a more balanced approach to midsole firmness, the transition feels more consistent. While you could sense the difference between heel and toe cushioning on the Ghost 7, the new model brings the front and rear closer in cushioning feel. This new behavior also bears influence on the support levels of the Ghost 8. The midsole structure deliver a supportive ride. No sideways leaning or bias here. There’s a solidity of ride on the Brooks Ghost 8; the kind which you rarely encounter in a shoe targeted at the demographic seeking neutral cushioning. The cushioning effect is centered along the transition groove under the midsole, with either sides flanked by molded (and interlocked) pieces of firm foam. And the forefoot has a reassuring plant, a result of a wide footprint serving as a stable footstrike platform. 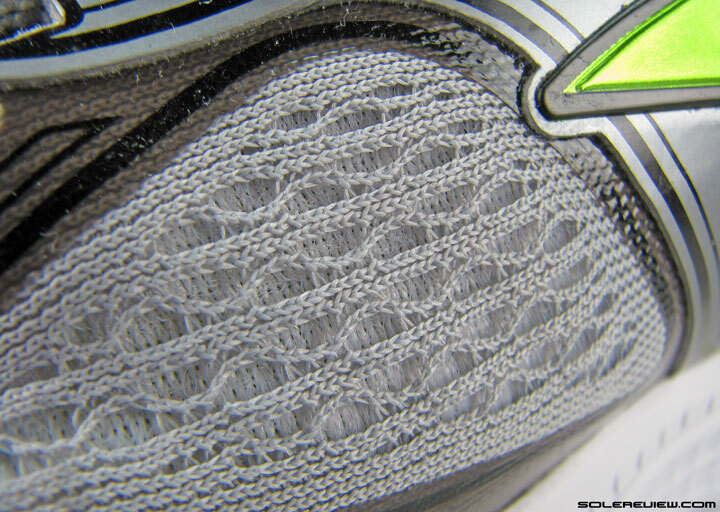 The solid medial sidewall of the Ghost 8 midsole. A bit firm, and the earlier crash pad has disappeared. Hence there is no bias, making the G-8 a shoe with a neutral, yet supportive ride. Some shoes tend to be more cushioned on one side of the midsole compared to the other, but the Ghost isn’t one of them. 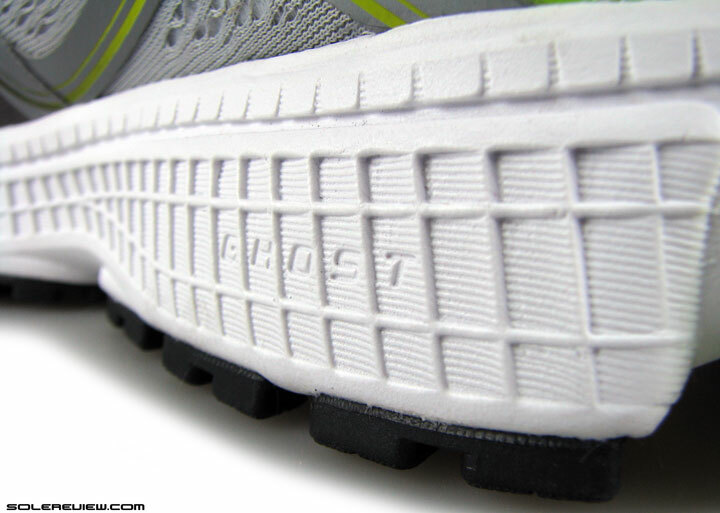 We must also point out that the widest span of the Ghost 8’s forefoot is wider than that of Ghost 7. Not by much(< 5mm), but wider nonetheless. That also boosts support levels on the new Ghost. This used to be a heel only deal. On the Ghost 8, this extends the complete length of the midsole. If you take into consideration the new crash pad design – the one which now stretches from toe to heel – the effect should be smoother transitions, correct? It happens to be so; the firmer midsole and crash pad increase overall consistency levels, hence making the ride smoother. But smoother does not equate to fast or snappy, and this is where the Ghost 8 comes second place to Ghost 7. All this sounds somewhat counter-intuitive, but it is indeed the case here. Initially, we couldn’t quite seem to put our finger on the reason why the Ghost 8 felt a bit lethargic. After all, it is not mushy, and a firm midsole alone has rarely ever caused inertia. A rigid forefoot then perhaps, one which is less flexible than the Ghost 7? Nope, that should also not be the case. We’ve tested many shoes where an inflexible forefoot actually made the shoe feel faster, not the other way around. There are a couple of reasons behind the shoe’s apparent sluggishness. The first happens to be Brooks Ghost 8’s surprisingly high weight. Surprising, because the G-8 is 34 gms/1.2 Oz heavier than the 7, and way above competitive models such as Ride 8 and Pegasus 32. 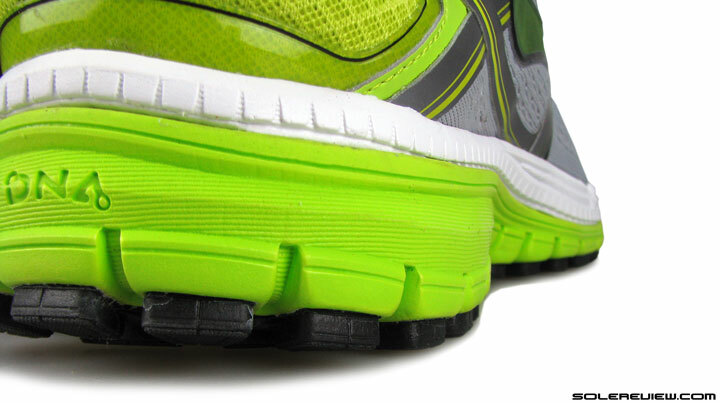 The other reason behind the shoe’s reluctance to go fast lies in the way how its forefoot is designed. The Ghost 8 feels its slowest in its push-off phase; one gets this feeling that the foot is working harder to propel you forward. An inflexible midsole forefoot works better when a) there is a rocker design like what Hoka has b) it is responsive and snappy c) it is thin and firm. Unfortunately, the Ghost 8 does not meet any of these qualifying criteria, and the forefoot ends up yielding a lower economy of transition. And no, it isn’t the Ghost 8’s 12 mm published heel drop. That differential alone has nothing to do with how fast or slow a shoe feels. It’s rather the combination of the thick midsole foam, segmented+soft blown rubber layout and the soft insole – this makes the Ghost 8’s forefoot padded and comfortable, but with a speed trade-off. Now see where we’re coming from, when we said that it was hard to determine which version was better? The Ghost 8 scores over the 7 in areas such as consistency of midsole feel and a more supportive ride, a trait often overlooked and undervalued in a neutral shoe. Then it lags behind in delivering a fast transition quality, and comes boxed with a lot more weight than its preceding model. It still remains a dependable shoe to do your daily runs in, and has levels of midsole structure and support reminiscent of how running shoes used to be once. The Ghost 8 is adequately cushioned, and does not come with any unpleasant surprises. Chances are, if you don’t love the shoe, you won’t hate it either – the balanced character of the midsole will most likely not result in polarizing reactions. 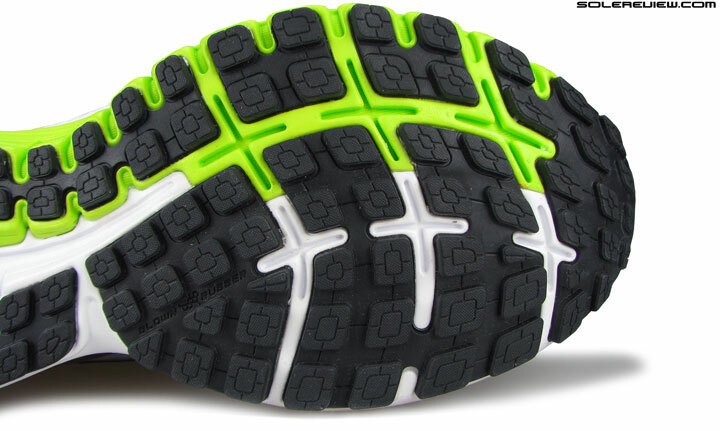 The new crash pad makes the forefoot dual-density in construction. 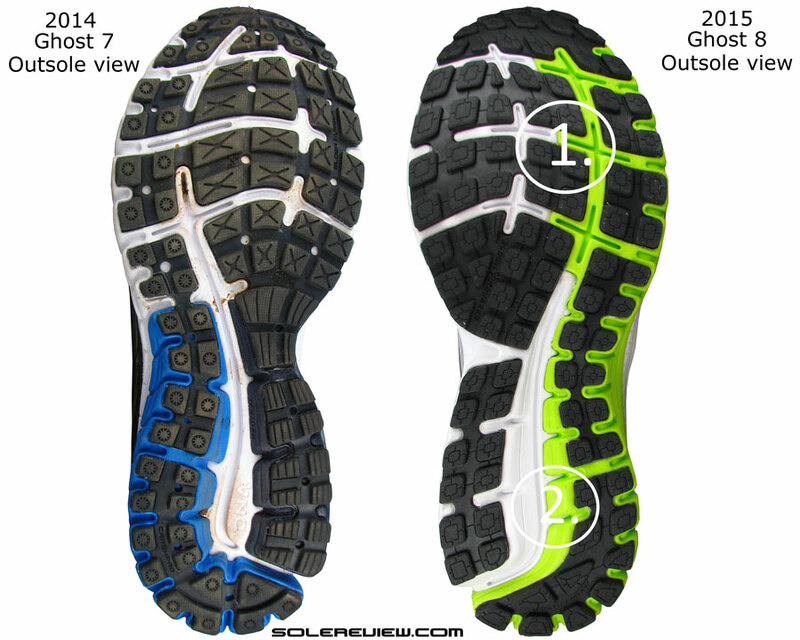 1) Dual density forefoot as seen from below, and a bit wider than Ghost 7 2) Narrower groove, lower to the ground makes heel cushioning firmer. The added supportive feel also comes due to a wider midsole waist, and also assisted by the full contact outsole. The rubber covering hasn’t evolved much in a year, except for the dual density split seen under the forefoot – a result of midsole updates. 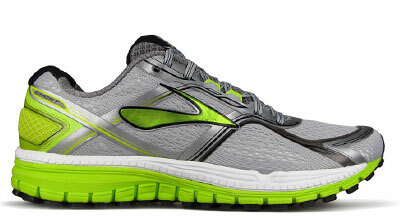 Brooks Ghost 8 uses soft blown rubber under the forefoot and harder type under heel. Downside? Durability. Upside? Traction. The Ghost 8 outsole rubber will be less durable in the long term than what competing brands use, like adidas’ or Nike’s carbon rubber. Yet there’s a silver lining, as the softer compound pays dividend in form of outsole grip. Change the topic to the Ghost 8’s upper, and everything starts looking positive and sunshiny. Because the Ghost 8’s new clothes are better in almost every aspect over the 7, a result of a heavy-handed redesign by the Brooks folks. 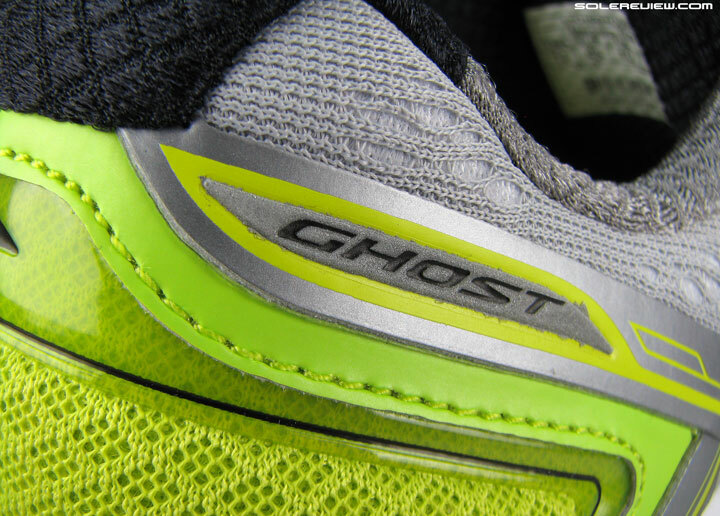 Looks are subjective, but we think that the new Ghost 8 upper looks absolutely gorgeous. The well proportioned profile, lines flowing harmoniously on the surface of the upper – and all of that is complemented by a well thought of material package. Without doubt, we see the Ghost 8 as the most premium looking shoe in its price and category class. In a time when cost cutting and material minimalism is the de facto trend, it is refreshing to see Brooks invest in high quality materials. The ‘engineered mesh’ makes its debut on the Ghost 8. The same new mesh on the forefoot. Breathes no better or worse than Ghost 7’s fabric. Some specific examples of that refinement? 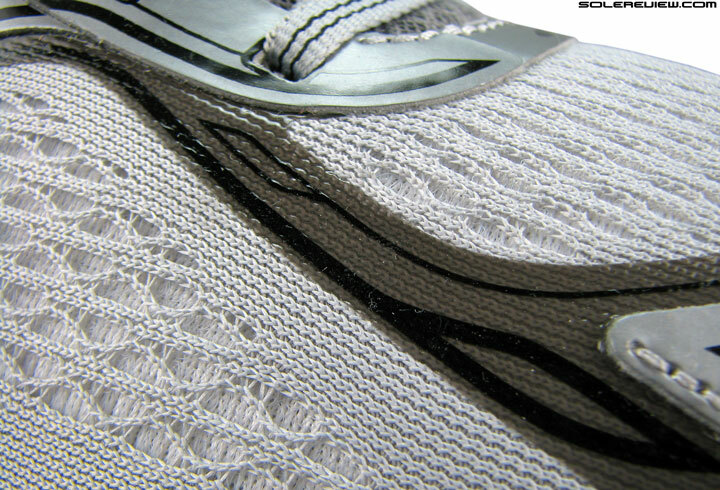 The use of engineered mesh, which Brooks highlights that the Ghost 8 is their first shoe to use it. A bit late to the party, but better late than never. 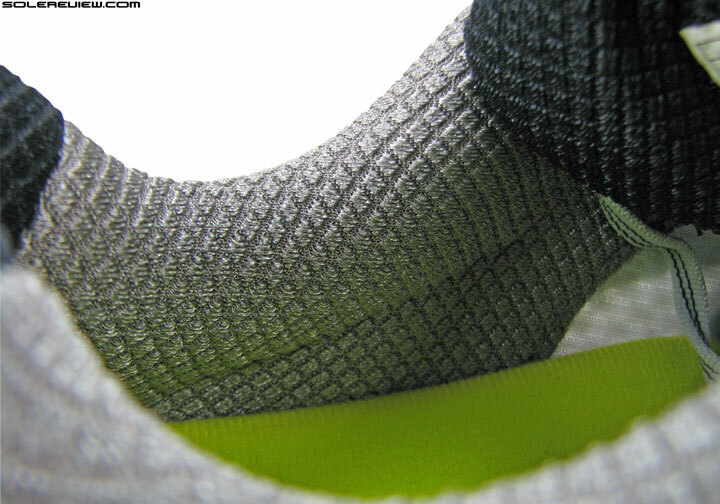 This type of mesh is commonly seen on brands such as Nike and adidas, a fabric structure which has open and closed areas for ventilation and support respectively. 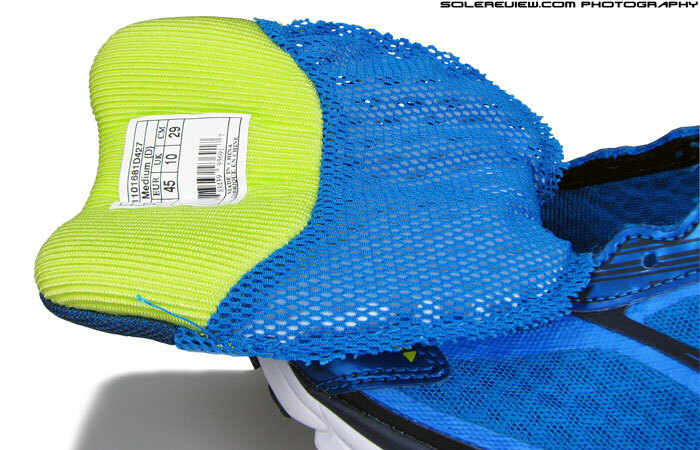 This happens to be the case too on the Ghost 8’s mesh, with open knit parts placed directly over the forefoot and side panels, while the lower edges have this densely knit design going on. Synthetic layering is used, but in a no-sew avatar. Molded logos provide structural support. A lot of synthetic leather layering is utilized on the new upper, though mostly in no-sew form which gives the shoe a clean and minimal aesthetic. The toe-box has an arc-shape strip, and the entire eye-stay and midfoot panels are supported by the same layering and molded Brooks logo. This material also comes with some craft-fully executed screen printed detailing, adding to the upper’s visual appeal. This be the 3D Fit print. A fused layer deposited by means of screen printing technology. Those details are a nice touch. The Ghost 8 uses 3D fit print, a screen printing based detailing element which debuted last year on Brooks’ line-up. It basically amounts to a basically a thin, translucent fused layer with printed details matching up with the lines on the synthetic leather panels. 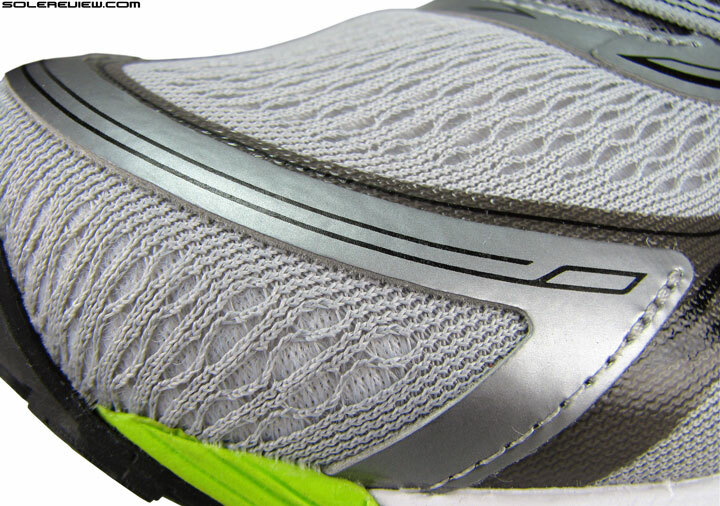 Unlike the Glycerin 13, the Ghost does not have a gusset attaching the tongue. Good dose of plushness lies packed within, and helps knock off some lacing pressure. Padding is plentiful in the tongue and collar area, with abundance of foam inside making for comfortable foot surroundings. The tongue has increased padding over the Ghost 7, and that is due to the Ghost 8 discontinuing the use of an EVA foam based tongue insert. This year, the tongue reverts back to a traditional, soft foam filled quilting. 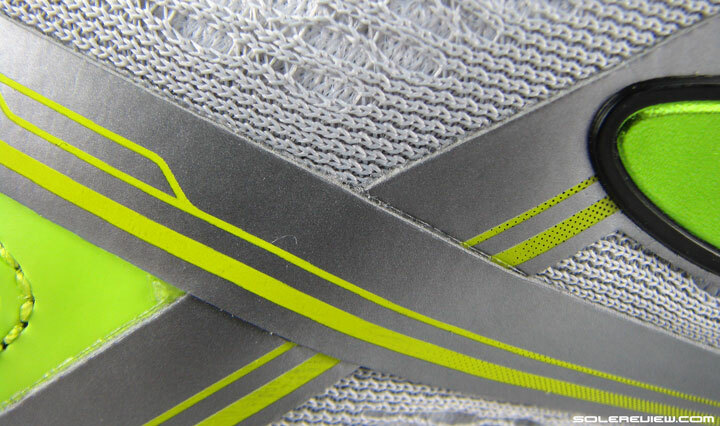 Lacing span is wider this time around, so expect a slight change in top-down lacing pressure. The new upper fits better too, although with a couple of changes on the fit behavior. The forefoot feels a bit narrower than the Ghost 7, and that’s partly due to the revised tongue padding, and the liberal use of synthetic leather where the lacing begins. The lacing also grows wider, pushing the synthetic closer to either sides of the forefoot, and thus reducing the open mesh area compared to the Ghost 7. This is noticed only during initial runs; give the upper some time to break in, and the forefoot splay room ends up feeling more or less the same as Ghost 7. That said, one feels all the additional material used over the forefoot – each time you flex. 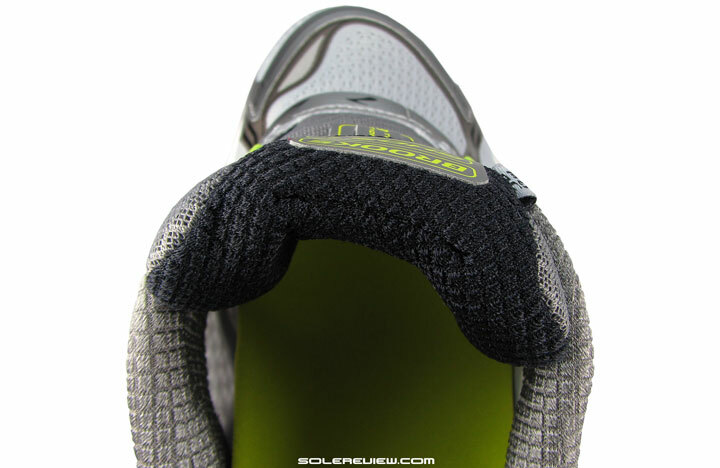 Toe box profile is wider in the front, and there’s more above the big toe. The internal toe-bumper stiffener gives that area a pronounced shape. And unlike the Ravenna, this part does not feel intrusive. Fit change also comes in form of the toe-box. The front toe bumper is now backed with a molded internal stiffener, making the tip much broader and accommodating than the Brooks Ghost 7, which in contrast, came across as a little pointy. Vertical toe-box height is ample, and though we were initially wary of the synthetic leather arc – a similar design on the Ravenna 6 caused it to be invasive – this was absolutely of no concern at all on the Ghost 8. Rather, the new design creates dedicated room in front of, and above the toes, making this a good change to have. 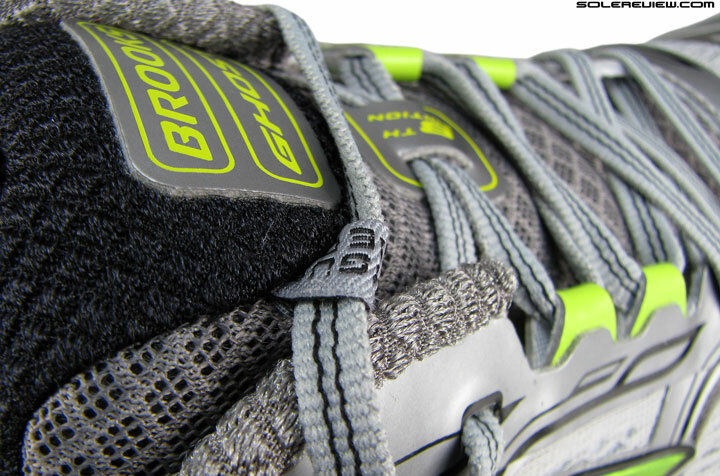 Brooks’ ‘tongue tied’ loop keeps the tongue from sliding sideways. Midfoot fit delivers an increased intensity of lockdown. There are a few things working together in these parts. 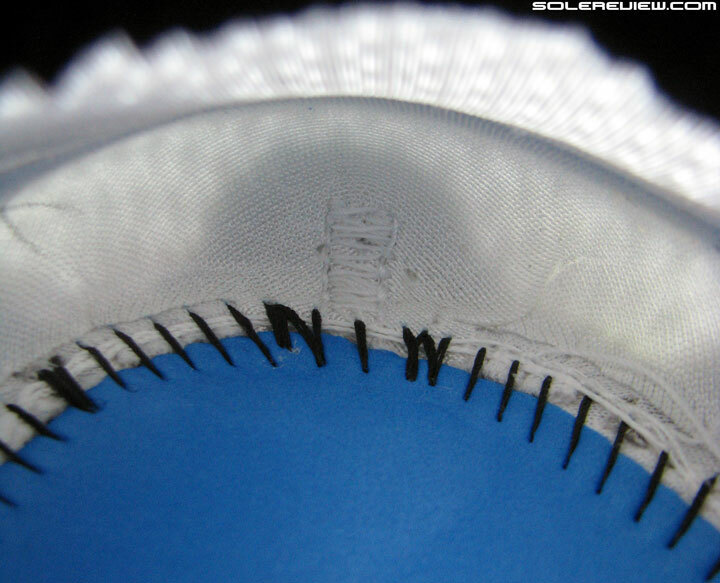 The lacing width has widened, so there’s greater lacing pressure on top. The Ghost 8 also uses two rows of speed lacing (bright green loops in the pictures) , which helps bring two ends of the upper closer, and hence providing better grip. And lastly, the plumper tongue also plays to the midfoot fit’s advantage, placing the foot in a snugger packing than last year’s. The green midfoot loops are a new add on the Ghost 8. Helps tighten the midfoot area with more gusto. Smoother interior lining vs. the Ghost 7, and ventilation isn’t all that bad either. Brooks claims that the new upper is virtually seamless with a sock like fit, and we don’t disagree. The interior fit is indeed smoother than last year; not that the Ghost 7 was full of seams and underlays, but rather the Ghost 8 has a smoother lining texture. 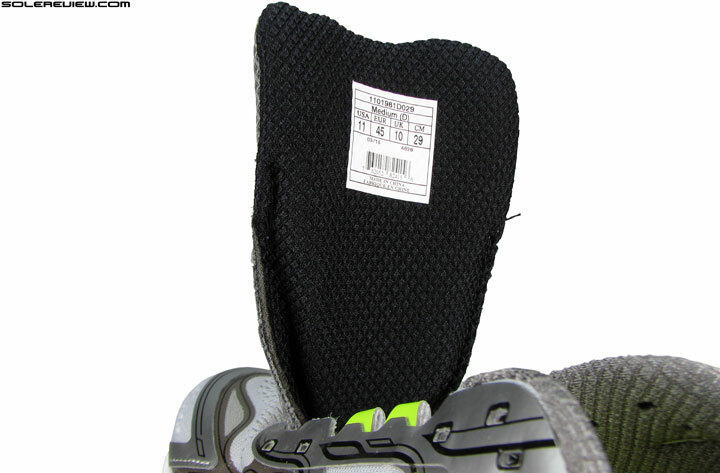 1) Lower side pressure due to revised placement of overlay, smoother insides 2) No separate crash pad, both components merged in an unified midsole design. 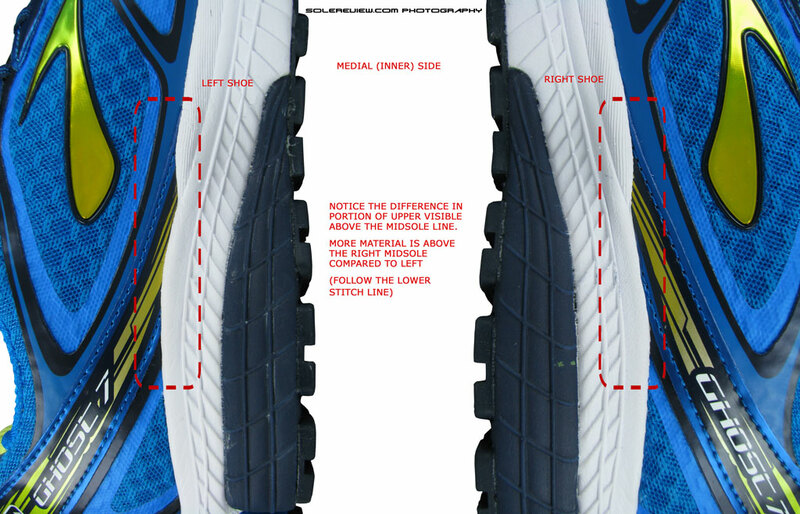 One of the important upper design updates is the position of an overlay on the medial upper, just at the point where the forefoot and arch meet. On the Ghost 7, you could feel this component pressing against the side of your foot. That has been changed on the Ghost 8, with the entire strap being positioned backwards and made wider. This eliminates the sensation of press-down, and instead transforms to become a non-intrusive element of support. Ample foam behind those textile walls. The tongue flap center is now filled up, making the rearfoot feel snugger. The updated heel collar section is also a good place to be in. Foam and mesh combine together to result in a plush wrap, and the entire rearfoot area closes around with a bit more plushness. The reason for this is a slightly longer tongue than the Ghost 7; not so much in overall length, but the curve at the center of the flap – which now happens to be comparatively filled out. The added tongue material rests against the front of the foot, making the upper collar snugger. …and a teardrop shaped overlay on the toe box. Going by recently reviews, it feels like reflectivity is getting downsized across the board. Though present in teasing doses on the Ghost 8, the overall coverage area has greatly diminished in size. 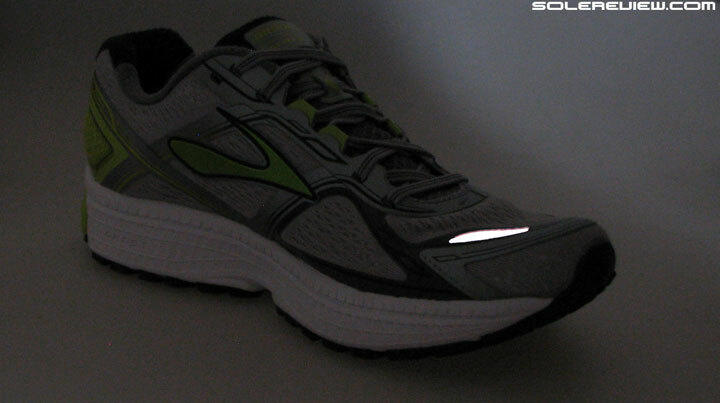 Tiny slivers of low light visibility element are perched up on lateral heel and one side of the toe box. The fit, finish and detailing of the Ghost 8 is much improved over the Ghost 7. Our pair of Ghost 8 has none of the assembly issues which plagued the Ghost 7. Instead, what we got for our money was a cleanly finished product which looks and feels very much worth its $120 price. Overall build quality is a top rung as they come. So the upper comes improved over the G7, check. 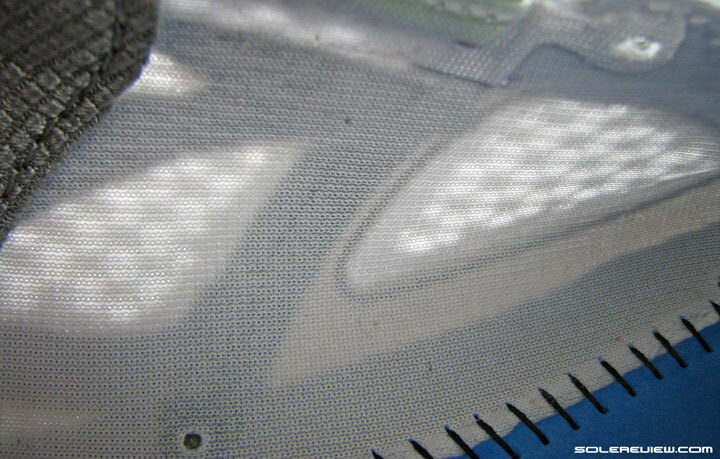 The midsole ride displays higher consistency over the Ghost 7, check that too. Weight and the shoe’s (perceived) eagerness to put on some fast miles? This is the only area where the Ghost 7 trumps the 8. But we won’t let you hang out to dry, and will offer thoughts on which Ghost should you buy. Personally, we’d prefer the Ghost 8. The much worked-on upper and midsole consistency is adequate compensation for the Ghost 8’s weight increase and sluggish demeanor. When we say sluggish, it doesn’t mean mushy in the way of Nimbus 17; it is just that you get a sense of slight inertia relative to the Ghost 7. Apart from that, there is much to like about the Ghost 8. 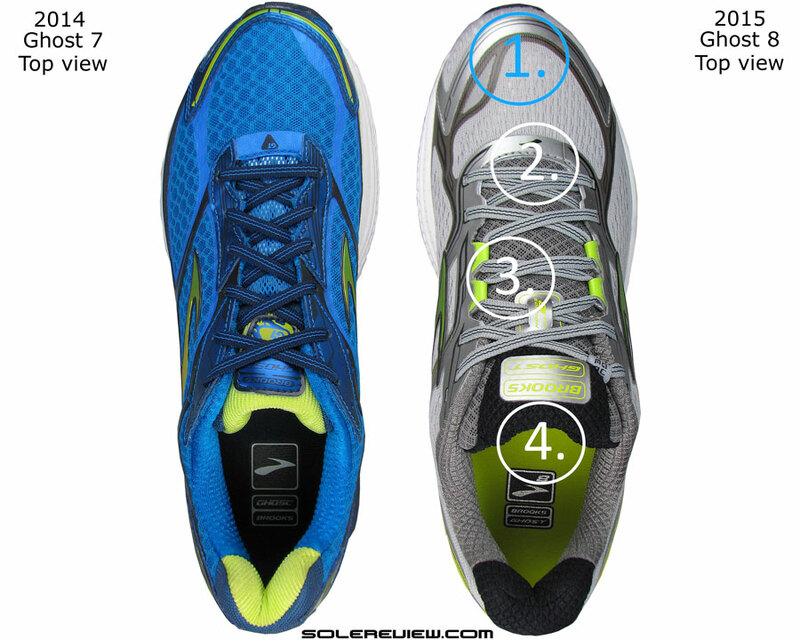 And the Glycerin 13 – how does it compare to the Ghost, and does its bang-buck equation justify spending that extra $30? We’ll give you a quick lowdown on that shoe. It rides softer than the Ghost (of course), has a smoother ride, and uses materials which are more comfortable. 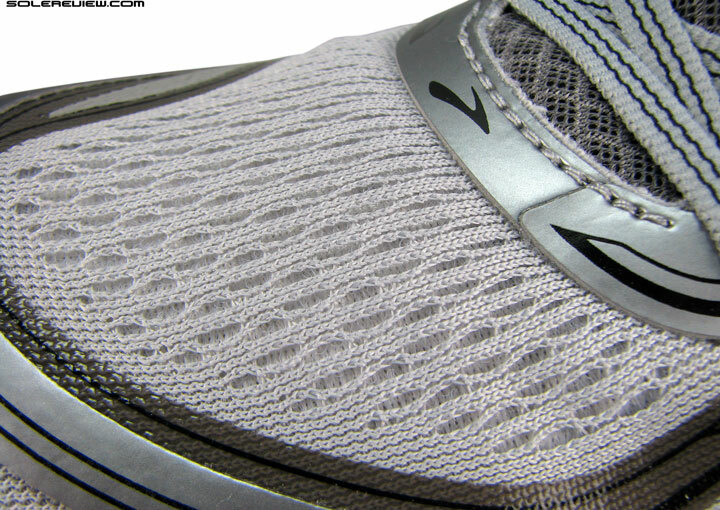 The fabric on the insole top is plush, and the one fitted on the insides too. It fits differently than the Ghost; the midfoot has a tighter grip due to its half-sleeve, and there’s better grip around the ankles too – with a softer Achilles area. 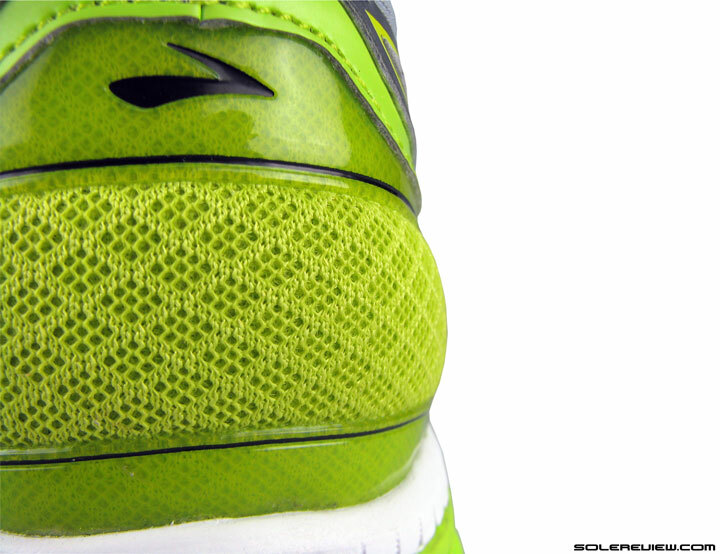 The Glycerin 13’s toe box is pointer than the Ghost 8, so you feel the medial toe bumper lining against your big toe. Not in an irritating way, but more as a reminder of the fit difference vs the Ghost. And yes, both are two very beautiful looking shoes. Great material look and feel, with nothing feeling out of place. We never quite understood what the DNA foam does; despite a verbose description on Brooks’ webpages. This review wouldn’t be complete without a parting shot on Brooks’ DNA ‘technology’. If you don’t think anything of it, then what the Ghost and Glycerin happen to be are two shoes with decent levels of cushioning, as befits products using a foam based cushioning. The transitions are smooth, and the shoes are supportive. The foam density is between firm and soft, and that delivers a reciprocal quality of ride. But as a marketed tech, we still find it difficult to understand what DNA is supposed to do. We had a very clear idea when the original gel based DNA debuted five years ago; Brooks said it was a shear-thickening/dilatant material which firms up when force is applied, and softens under reverse conditions. Brooks even had/has a video showing how materials like starch – water solution/silly putty demonstrated that property. But here is where it gets weirder. All the USPTO patents filed by Brooks for DNA – # 8209885 (filed 2009), # 8661709 (2014), and the latest update, all call out limitations of shear-thickening materials, or dilatants. Patent description contradicts the very foundation of the original (claimed by marketing) DNA tech – the text disses shear-thickening materials, saying that they ‘… are not accurately calibrated to the responsiveness required for etc etc..’. Product development – marketing team connection fail? Very much so. 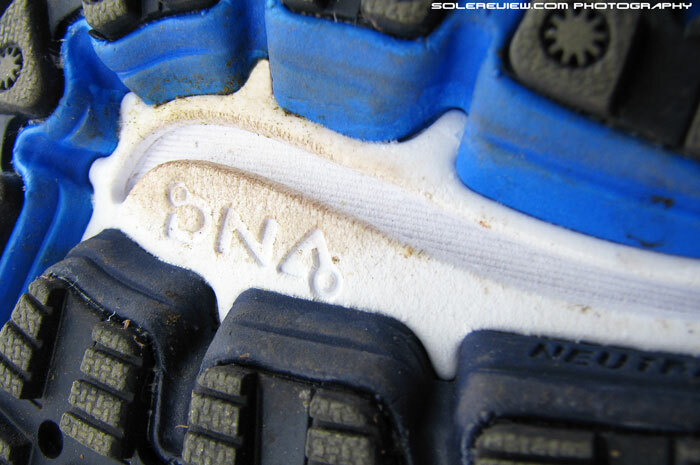 Now the Gel is replaced by foam, and Brooks claim that ‘DNA technology is now blended with Biomogo foam’, and has ‘30% more cushioning’, and ‘twice as much energy return’. It does not matter whether DNA happens to be foam or Gel or anything else; the resulting product should exhibit some alignment with the marketing claim. The patent also belittles tech such as Air ( obvious reference to Nike), Gel (Asics), plastic (Mizuno), calling out their supposed shortcomings. Well, we’ll tell you what the DNA foam is, as end users of your product. Apart from being a standard cushioning medium – all foams are – it feels nothing special. Nothing, regardless of different results Brooks might have achieved under standard laboratory conditions. There is something to be said about the end-user experience, and it is as important for the the shoes to excel in sensory rewards. It has nothing on responsiveness, where platforms like adidas Boost and Nike Zoom runs rings around it. 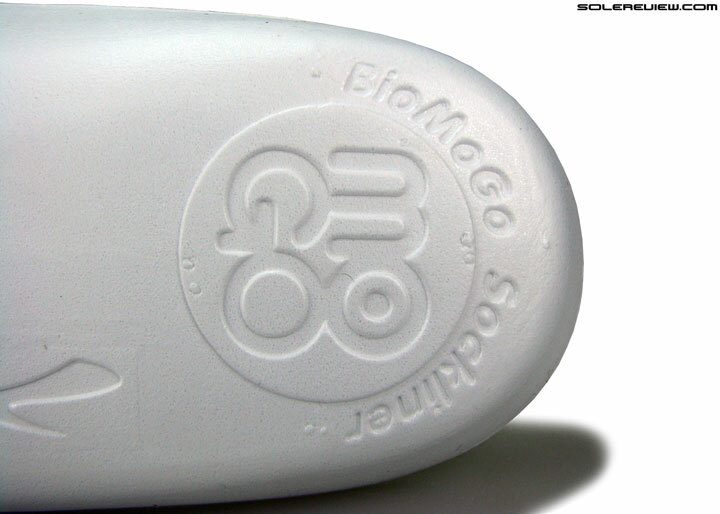 It does not have the signature ride of Mizuno, – yes, the brand with the plastic tech. The Ghost and Glycerin are two of the heaviest shoes in their class, no doubt contributed by the DNA foam midsole. Brooks DNA is very ordinary, with the exception of it being landfill friendly, which is a great differentiator once the shoe is past its life – not when runners are using them. The DNA foam gives august company to Saucony’s recently released (and soon to be deceased) Powergrid+, another marketing fail. To Saucony’s credit, they quickly realised that they need to be better than that, and now will switch to a new cushioning tech called the Everun this winter. Looking to upgrade your older Brooks Ghost 7 to the latest version, but not sure how the 2015 model compares? We can help here. The following infographic is a ready-reckoner for what changes you might expect in the new model vs. old. To make this more fun, we’ve put in a system of percentage match, which calculates a weighted average for a set of attributes. Very much enjoy your reviews! 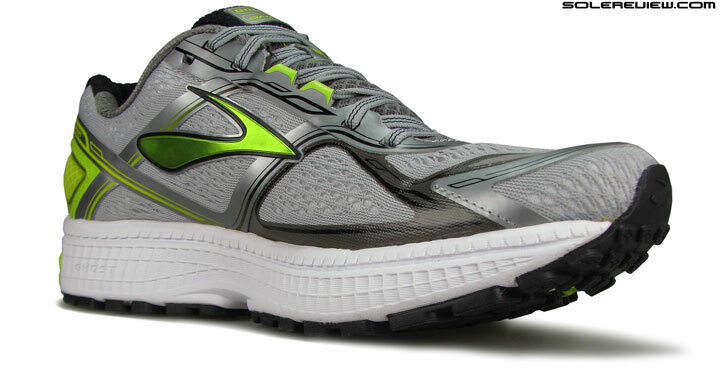 As for the new cushioning Brooks is using I feel it’s pretty inferior to the cushioning in most other running shoes. I’ve ran in the Ghost 7, Glycerin 12 & 13 and the cushioning in both just feels dead, hard, & flat. I actually enjoyed running in the Muzino Wave Rider 18 a lot more, even though it’s supposed to be firmer (and I like a soft feel). While there is a lot of cushioning between you and the road in the Glycerin 13 it doesn’t really matter if that cushioning is hard and unresponsive. Thanks again for your reviews, they truly are the best I’ve found. We still have the Ghost 6 and Glycerin 10, which we see as the best models in both the series! 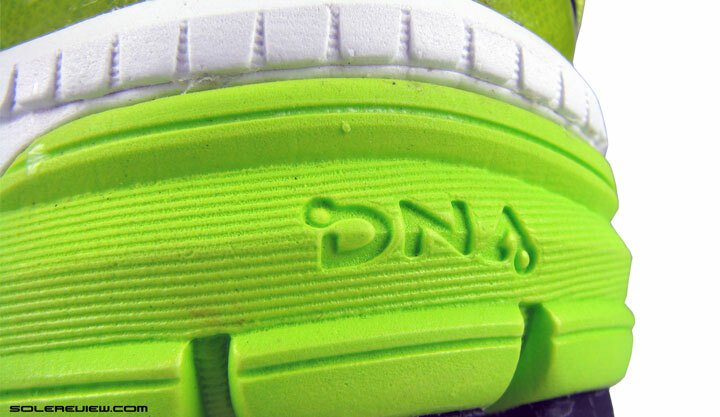 The new DNA foam completely lacks character, and the Rider is more enjoyable, agree. Look forward to reviewing the Launch 3 next Spring, a little late in the day to test the Launch-2. I personally LOVED the Ghost 6 and never had any issues from that shoe at all! The Ghost 7 were HORRIBLE in my opinion, so much different than the 6s and I couldn’t run in them. After trying many different shoes to try to replace the 7s that didn’t work, I eventually wound up back at the Ghost 8s (it took that long of me trying shoes out!). I think if you liked the 6s it’s worth giving the 8s a try…I think they are closer than the 6 and 7 were. I thought I had a replacement a couple of months ago in the Saucony Ride 8, and while I still think they are comfortable my legs just feel dead in them…no responsiveness in my opinion and it feels like my legs are working much harder; maybe the cushioning is just too soft for me, I’m not sure. Good luck! I LOVE my Ghost 6s and am dreading having to replace them. I hated the 7s, so may have to try out these! Also looking into the glycerin. I wonder how they will compare with the 12s- didn’t like those so much, but excited to try the 13s. 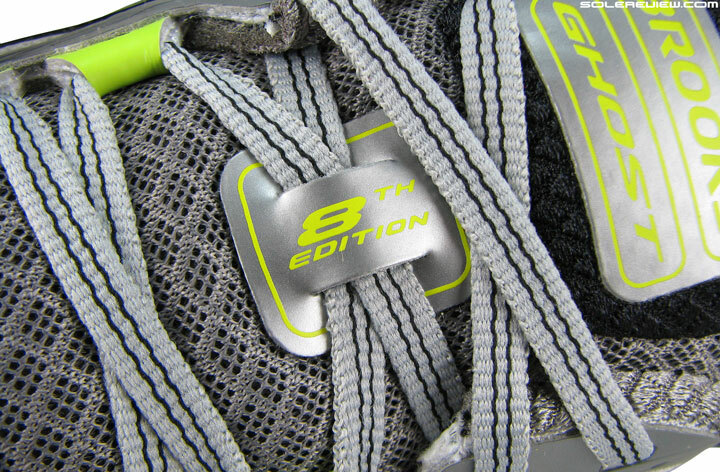 Our G-13 review should be up soon, next in queue after the Zoom Elite 8. Thank you for the feedback! 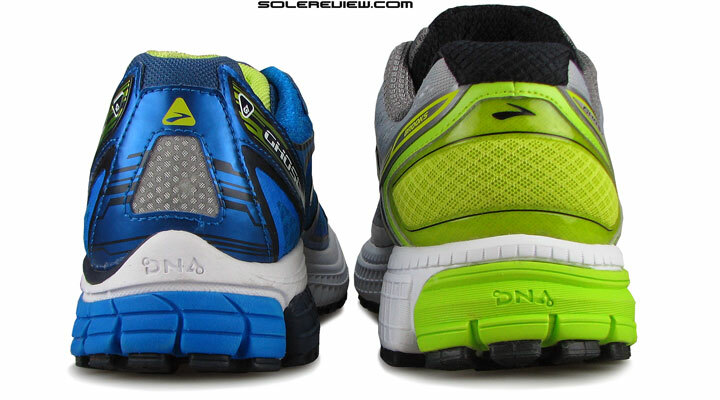 The Ghost 7 and 8 both miss the ride of the Ghost 6, which felt different because of the DNA gel composite. So in comparison, the newer Ghosts feel one dimensional. That said, the Ghost 8 feels better than the 7, and the new Glycerin 13 rides better than the Ghost 8! 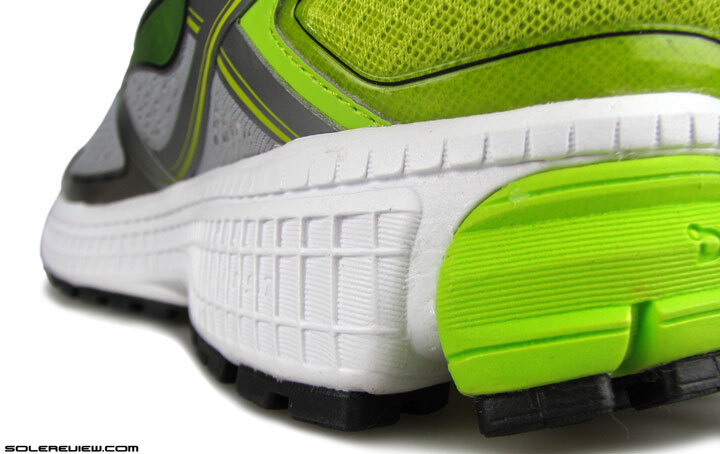 Just curious – what is the purpose of the hole/circle in the forefoot on the EVA strobel? It was referenced in the Ghost 7 write-up but I don’t remember an explanation. The holes on the strobel and upper lining are alignment holes. These ensure correct lasting+fitting to the midsole during manufacturing. 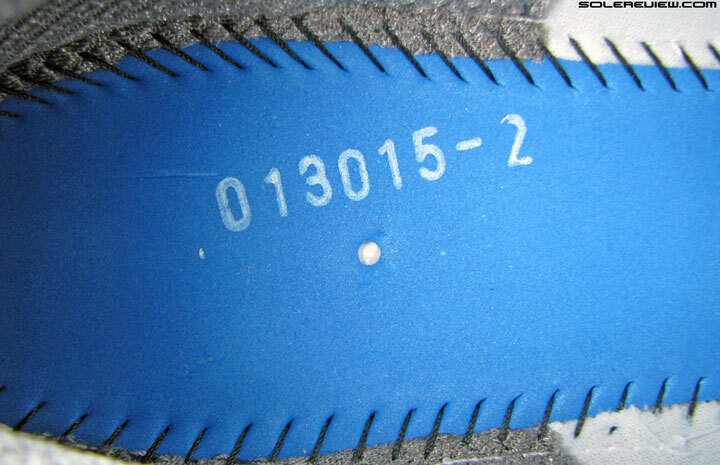 The plastic last (on which the upper is fitted) will also have a corresponding ‘dot’ or marking on its bottom. 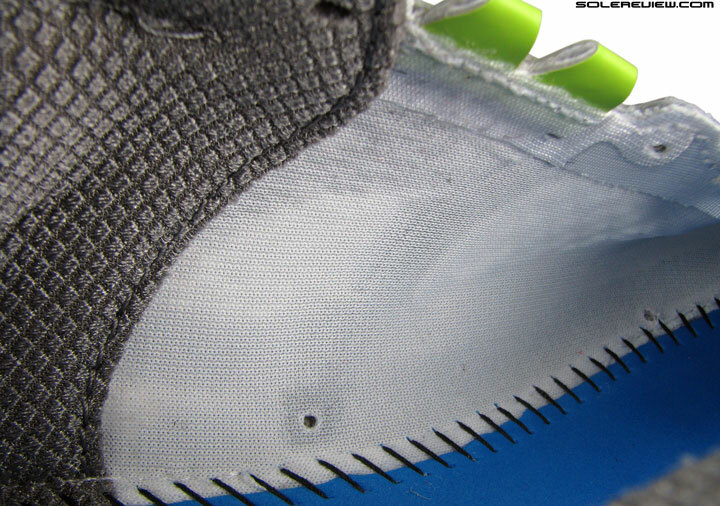 The hole on the Ghost strobel should be lined up against that for the midsole to be fixed properly. I’ve been meaning to ask this for a while. 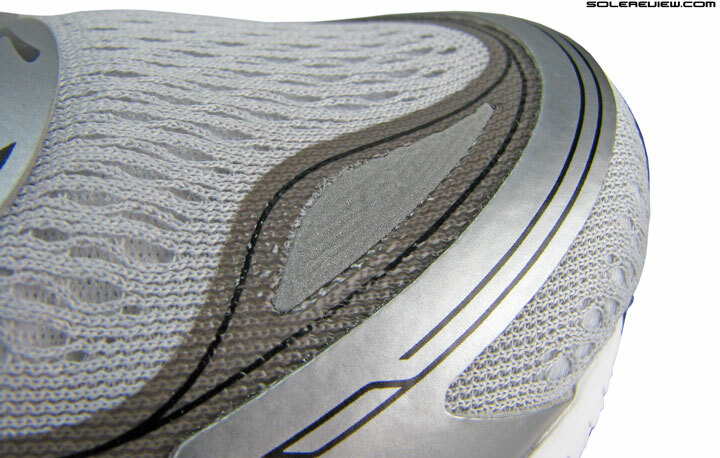 What is the design concept behind crash pads in running shoes? Thanks! The general goal is to increase cushioning sensation around the footstrike area – usually the crash pad is softer than rest of the midsole, so it makes that part feel softer the moment you make contact with the road. 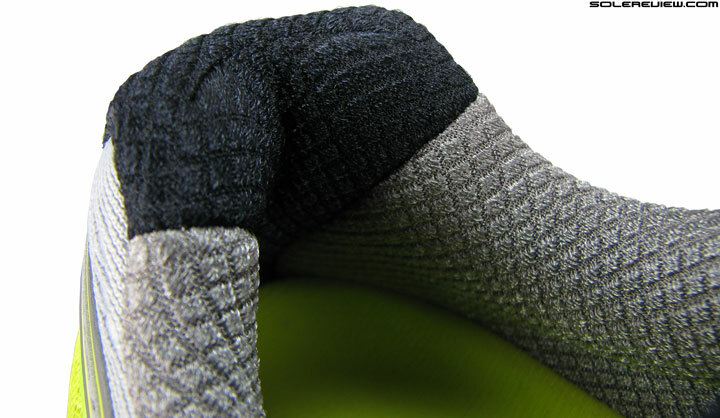 In some cases, it is also used as a ‘motion control’ element, where a softer crash pad would allow the shoe to lean slightly towards the outer side. From what we remember, the Ghost 4 felt better than the 8 in its ride delivery. The upper on the G-8 is far superior. Yes, the G-4 felt very “hot” and tight. Do you mean with Lunar 3 the Nike Lunaracer or Flyknit Lunar 3 ? Anyway, recently i found that the Under Armour Speedform Fortis is quite an interesting new shoe in the lighweight trainer category. Snug and comfy fit (in my opinion), flexible, normally lightweight with soft yet decently responsive cushioning. I would describe it in general as a mixture of a Nike Free and the NB Zante/Saucony Kinvara. I use the Speedform Fortis mainly for easy runs (short to long), because i find it so comfy, but it is versatile enough for typical tempo work on road if you want to pick up the pace (for speedwork on track i prefer a real racing flat or firmer performance trainers like the NB Vazee Pace or so). Cheers! The Vomero 10 is a good alternative/rotation to the Pegasus 31, as there’s more cushioning under the forefoot. Also see the Saucony Ride 8 and Flyknit Lunar 3. We’re assuming you’re referring to the Lunaracer 3. Is there anything you don’t like about the shoe? That will help narrow down the choices. 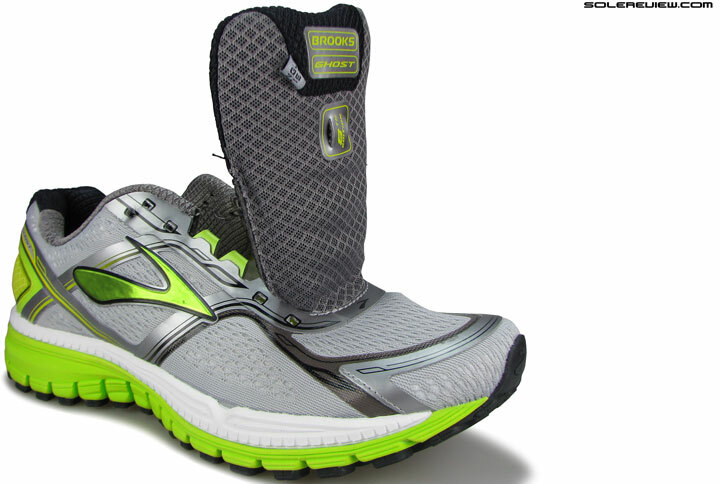 We see the LunarTempo as a comparable shoe for track runs/intervals, with some areas of difference. Also love the NB1500 V1. I am a 32 year old, 2.03 meter, 78 kilo marathoner. I am a neutral runner and currently enjoying the Adios Boost 2 a lot. I am running 10K’s ans marathons on those shoes. No problem what so ever. At the moment I am looking for an shoe that is just a little bit more cushioned as the Adios Boost 2 because I am going to make a lot of km’s coming months. I am thinking about the triumph ISO, Glide 7 Boost or these Ghost 8’s. Do you have some recommendation perhaps? Will be much appreciated! Have you heard of the Adidas Boston Boost? Still lightweight, especially compared to a Glide or Ghost with a decent upgrade in the amount of Boost cushion in the adios boost. Also the triumph ISO is going to be updated in november with saucony’s new cushioning EVERUN. Thanks man! The Boston Boost seems really nice and will be perfect for me I think. Definitely take a look at those. The Saucony Zealot is worth a try too. Much lighter and way faster than the Triumph ISO while having solid cushioning, perfect for (uptempo) long runs or as a daily trainer with some speed. It´s basically a beefed up and more durable Kinvara. I own the Boston Boost and Adios Boost too, but the Boston Boost is a bit strange for me. It really shines when you run fast and long, but otherwise at normal or slower paces it feels a bit clunky or too stiff for me, definitely not smooth. As the fast and long area is the perfect playground for the Adios Boost i hadn´t so much use for the Boston Boost. Yes it´s more cushioned, but in my opinion the ride quality of the Adios Boost is much better and more consistent. Just my experience. The Zealot looks pretty nice too! What a choice nowadays 🙂 What about the Ride 8 then? The ride 8 is comparable to the adidas glide or brooks ghost, slightly lighter though (foam vs boost / gel) and an 8mm drop compared to 10 or 12 in the others. Saucony’s unique cushion is their powergrid and powergrid+ (until november). The ride has the normal powergrid but the zealot and triumph have powergrid+ which is designed to feel even more plush along with the isofit upper. Personally I ran in the ride 7 and liked them alot. Currently I’m doing most of my miles in a Brooks launch 2 (which you might like as well), and mizuno wave rider 18. I have a pair of adios I like to do speedwork/race in. Thank you for the question, and apologies for the late reply! There are some very useful suggestions by MichaelK and Ditsch below, and we’d like to throw in our two cents. Besides the Boston Boost, the Nike LunarTempo and New Balance Fresh Foam Zante are good alternatives to try. Has more cushioning than the adios Boost, but still stays in the ‘fast’ territory. If you need more cushiony without getting mushy, then the Saucony Ride 8 and adidas Glide 7 Boost are shoes worth trying. Hi, first of all, awesome reviews! I have bookmarked your site as the must-go site before buying my next shoes. I am a small build male with bow legs but am told I ran quite neutral. I just bought a G8-D size 8 and experienced some pain on my right medial arch after 3-4 kilometres on the treadmill when I tried them.The pain wasn’t excruciating. I finished my 7K. But it lasted for about a day. I realised now the G8 is advertised for medium to high arch when my past running shoes are more low to flat arch types. I need to decide whether to exchange them in the next day or so. Does it really matter the G8 has higher arch? Do you think the construct is such that it will adjust to low/flat arch after some use? if I decide to exchange the G8, what other Brooks runners would you recommend? I’ll like a lighter performance trainer, something I can train a few times a week and race in as well. I run 10K to half marathons. Thanks v much for your help. As for a lighter Brooks shoe with some cushion first thing that comes to mind would be the Launch. It is lightweight compared to the ghost and has a responsive feel to it. Thanks, Michael. Unfortunately, Launch seems to be for medium to high arch. Still wondering if it matters. I think the system for high arch/low arch on the Brooks website is a little misleading. I don’t think it is referring to the shoe itself having a higher arch but instead be optimal for the running tendencies of a runner with a mid/high arch. Generally people with lower arches overpronate and those with higher arches tend to be considered neutral. That is the general trend but there are plenty of exceptions. I’m not sure what shoe you’ve had before but it sounds like you need a shoe with some medial support, or a stability shoe. 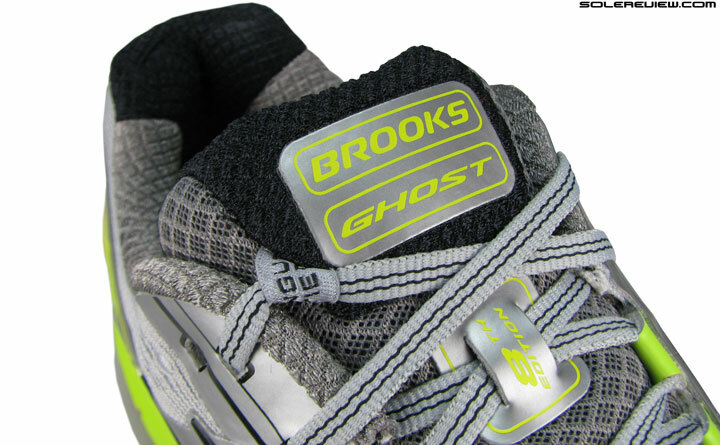 The ghost is considered the basic neutral trainer for brooks and designed for people with neutral footstrikes. I’d say the adrenaline is the “ghost” of brooks’ support shoes but it is also the lightest shoe the website says is optimal for a low arch. 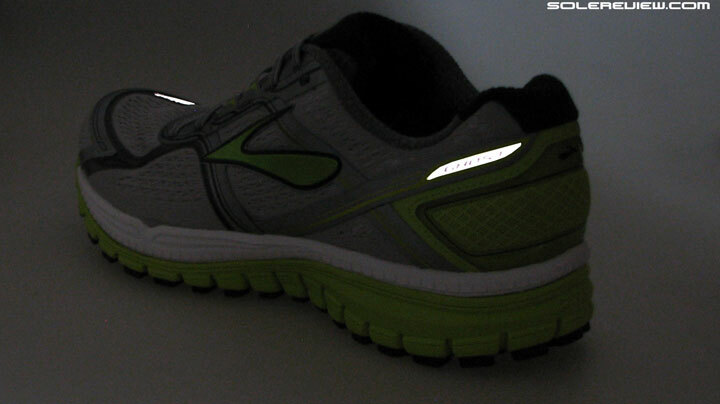 Although there are two shoes brooks makes that have some medial support and are lighter; the ravenna and the st racer. Hey Michael, exchanged my G8 for a GTS15-2E and went for a 7k road run. The GTS15 felt dead and flat, like running with slippers. Started more heel striking and supinating behavior mid run. Shoes certainly felt stable, but would have been better with more “bounce” and wrap-around feel. Although they are supposed to be lighter than G8, don’t feel any difference on the run. Will see if I can try out the ST racer/Ravenna. Thanks again for the great suggestions. 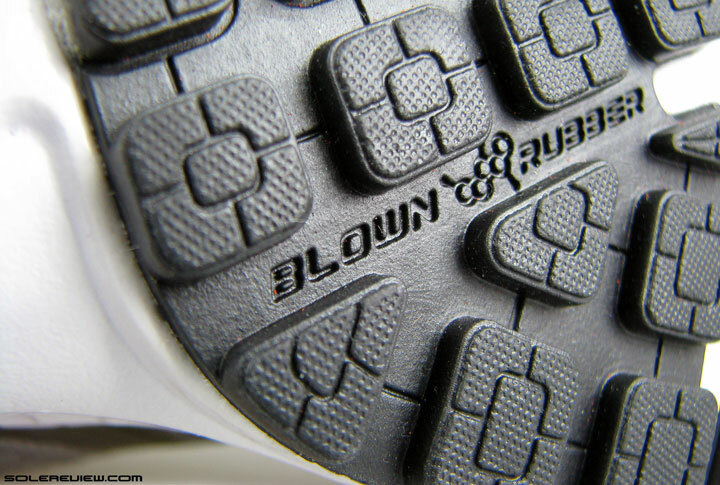 Btw, I ran with Adidas Bounce and iNov Roclite 280. Have been checking out other reviews on your site and thinking of buying another pair of performance trainers in case Brooks really don’t work out for me – which of these do you think may fit me better – Nike Lunarglide 7, Hoka One Clifton 2, UA Speedform Gemini and Saucony Kinvara 6? Many thanks! Hard to say which one would work for you, but given your criteria (10k to half distance, lightweight, cushioning bounce) the Hoka Clifton comes right at the top, followed by the Kinvara 6, UA Speedform Gemini and then finally the Lunarglide 7. Thanks v much – great help! How would these compare to the Launch 2 you think? Not quite sure, haven’t reviewed the Launch yet. 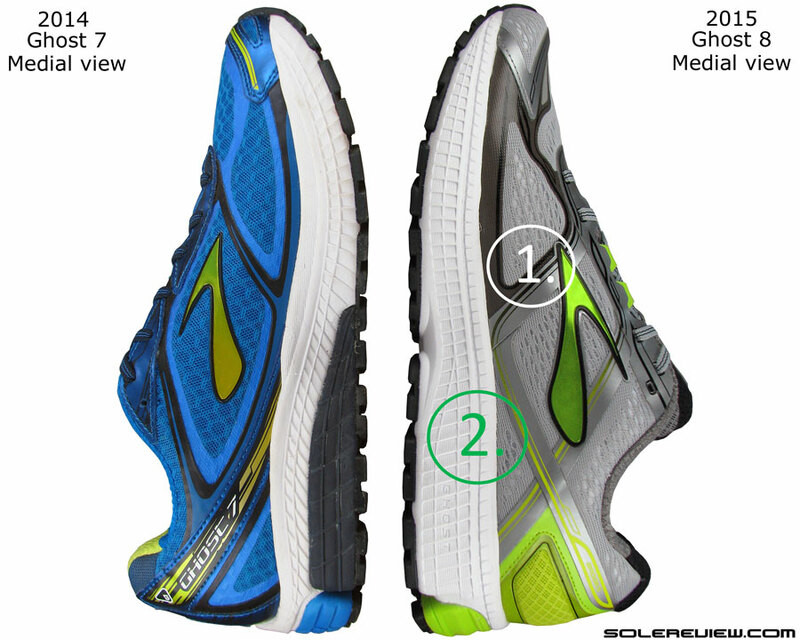 We’ll jump straight to Brooks Launch 3 in Spring 2016, and will be in a position to offer an opinion. Sorry CT, our reply was delayed. Not sure if this is helpful anymore, but you can take this response for whatever you think it is worth. Michael below has been very helpful with his comments. In our opinion and experience, the shoe to arch type pairing is an oversimplification, and does not necessarily work for everyone. If the shoe fits and rides well, that is your shoe. But if you need to try stability shoes, then the Ravenna is a good option, and if you need something lighter and cushioned, then the PureCadence or Connect. Don’t have review experience with the Launch or the ST (Michael’s suggestion), so can’t comment on those. Also helps if you weave in plantar stretches into your regime, if you aren’t doing so already. Hi, I have been a fan of the Brooks Ghost 6 and 7. On both shoes, I seem to wear out the edge of the outsole (along the pinkie toe area) before or around the same time that the support gives out. But, it seemed to be after about 300-400 miles, so I figured it was ok. I bought the Ghost 8 recently, and after putting 50 miles on them, I could already see significant wear on the outsoles along the pinkie toe/side of the foot area such that some of the lugs were almost completely gone. I took them back to the running store and they suggested maybe the shoes were defective. I got a new pair, and after only running 4 miles on them, I can already start to see the wear. I am a mid-foot, borderline forefoot, striker and am marathon training, so I need a shoe that can stand high mileage and impact in the forefoot region. Do you have any recommendations if I take these shoes back again? Or should I stick with the Ghost 8 and work on my form? Hi, maybe I can help you because we seem to have the same footstrike pattern 🙂 Here is a list of shoes that have decent forefoot rubber durability: Saucony Ride 7/8 and Zealot iso, Nike Vomero 10 and Pegasus 31/32, Mizuno Sayonara 2/3 or Wave Rider 18. And from what I´ve read the Brooks Launch 2 seems to be worth a try too. Charles has suggested some really good options below, and we’ll narrow it down further. The adidas Glide 7 Boost and Nike Pegasus 31/31 are very durable under the forefoot. And we don’t recommending changing your running form to adjust to your shoe – unless you see other benefits out of doing so. The rubber on Brooks shoes are of lower durability (but generally better grip) than other brands, so doubt whether a same shoe replacement will help. Will you be reviewing the asics gel quantum 360? Maybe, maybe not. Depends on how much cash we have after buying other shoes. The comments/Q&A thread will be closed till January 17. Any inconvenience is regretted. Premium access members can continue to use their dedicated comment section, which will be open. Hi – Joining this conversation very late, but thought you’d be interested to know that I just bought the Brooks Ghost 8 and took them out for a spin this weekend. I had the strangest feeling that I had to work harder than my Nike Pegasus to get my foot forward – to move from heel to toe. I thought, that’s strange and probably all in my mind. Well sure enough, the Google led me to your review which talks about the shoe’s sluggishness. I feel validated! It’s enough for me to return them. I’m hoping I can find a similar shoe (perhaps with a little more arch support) that does not give me that sluggish feeling. Thanks! The Ghost is a good all-round shoe, which means it doesn’t do any one thing very well, including going fast. So definitely slower than the Pegasus, you’re right in thinking so. A little more arch support? The adidas Sequence 8 Boost and the Nike Zoom Odyssey comes to mind. Or the UnderArmour Speedform Gemini within the neutral cushioning category.